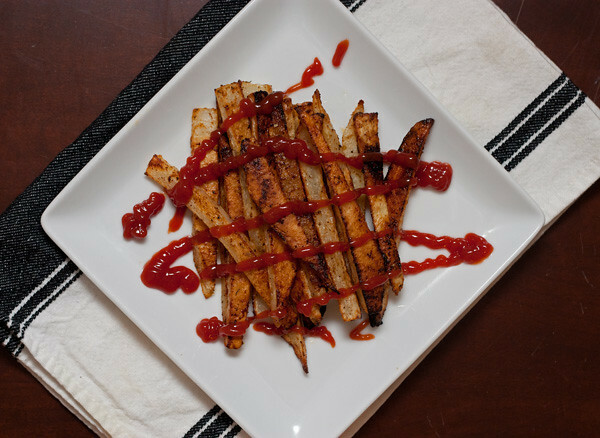 I started off this weekend knowing I was going to write an article about French fries for NU Intel, a snazzy little online publication I write and photograph for at Northwestern. I was thinking, like, yeah French fries will be easy. Just put some potatoes in the oven and roast them, right? But that would be oven-roasted potatoes, not French fries. So how do you take a strip of raw potato and turn it into a glorious, crisp potato worthy of a deep-fryer, but… from an oven. Well, I’ve figured it out. 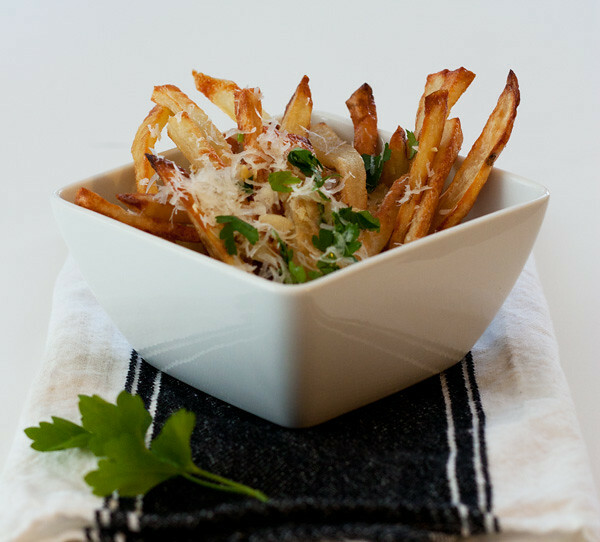 I’m about to let you in on the secret to perfect French fries. The secret that will take you from drab oven potatoes to crisp, god-like potatoes. The behind-the-scenes trick that all of your favorite potato-servin’ restaurants are doing. Ready for it?